Nokia is all set to seed the Nokia Amber update for it Windows Phone lineup, the update will bring the official Windows Phone 8 GDR2 update that is coming later this year to every Windows Phone 8 Smartphones. There are a number of features that will remain exclusive to the Lumia lineup. Glance Screen: Clock Charging indicator / low battery Indicator for silent/vibrate mode, night mode (change colour for night time). OFF by default. Smart Camera: Accidental remove unwanted objects from the scene. Select the best shot and precise moment. The sequence takes a group of images with the advanced face, smile and blink detection. The, best ‘face for each person is automatically selected into a single, best’ shot. FM Radio: Be ready to tune your favourite station. Store your favourite stations for the next time. Flip to silence the phone to turn it silence. Data Sense: Managing your data flow monitor and control data usage. Optimally compressing web traffic. Find your closest hotspot: Enriched web services (for operators). And these are some of the features part of the Windows Phone 8 GDR2 update. Xbox Music facilitated selection, procurement and pinning music. Also for fans of music are provided to display more detailed metadata (eg information about the songs and albums), and made other improvements. You can listen to FM radio: FM radio directly in the heart of Music + Video. (This is not available in some phones). Data Sense: Sense With the service date have complete control over the amount of data sent over the phone. You can impose a limit corresponding to your subscription or simply keep track of which applications send much data. (Not all mobile operators offer the service offering Sense). Other improvements include many other improvements of Windows Phone. 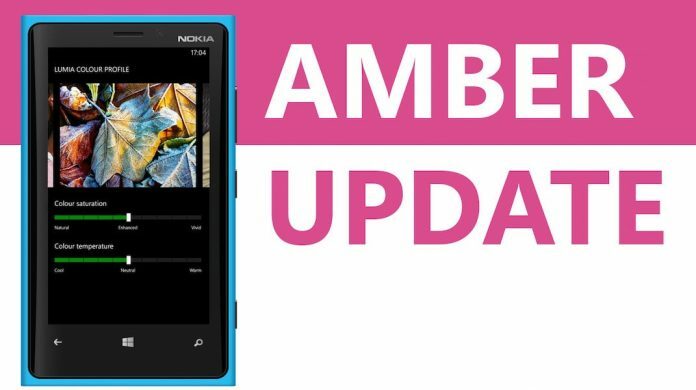 The Amber update will be preinstalled in the Lumia 925 and Lumia 1020. We expect it to hit the other compatible smartphones in a month or two.